You’ll no doubt know that here at SV towers we huge fans of podcasting, but we’re always surprised it doesn’t get as much attention as some of the other types of social media. So me and a few podcasting friends have tried to do something about that by arranging a free get together for people already podcasting, looking to start or just wondering what all the fuss is about. There’s all the details about the event below, but it’s entirely free and a great chance to get together and talk podcasting. 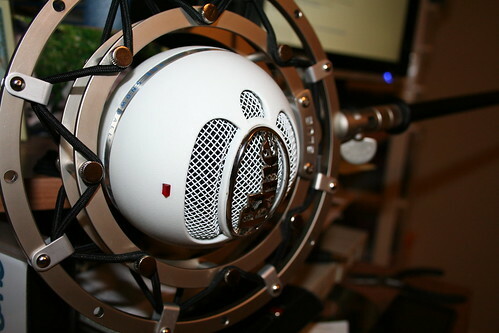 Are you or your organisation looking at podcasting for your business or clients? According to Rajar (Radio Joint Audio Research) 15 per cent of people have downloaded a podcast, and Internet radio listenership is on the up. This would appear to further underline the value of podcasts to business, but how can companies build a business case for podcasting? Join us for a free evening with expert podcasters to learn more on why and how to podcast, plus learn from those who have used podcasting to generate new business and revenue streams, as well as mingle with your peers. This meeting is perfect of in-house and agency-side marketers and PR professionals keen to learn more about how to podcast and how to cost-justify or upsell podcasting services. Please note that capacity is limited to 40 so first come, first served. Hopefully we’ll see you there! Please use the hashtag #LDNpod when referring to the event on Twitter. Sounds interesting…may try to get along.